RVers don't have space to store decorations nor do they have space to hang them...but subtle little touches during the holidays can transform the entire rv into a cozy, celebratory little haven. For Valentine's Day, a splash of red here and there, coupled with some lights and extra accessories, is all your motorhome or travel trailer needs to look festive! 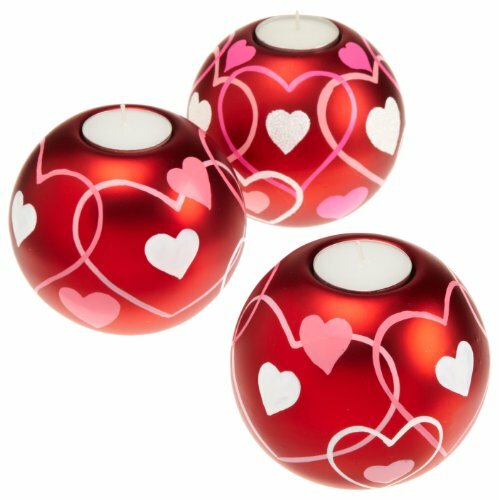 If you're looking for Valentines decoration ideas, why not consider decorations that can be used any day of the year? We've admitted to being a bit anti-Valentine, because we think every day we share as a couple is special. But we aren't complete scrooges! We love ambiance, candles and filling our motorhome with decor that displays our style, making us feel at home. Decorating an RV, motorhome, travel trailer or 5th wheel for the holidays can be difficult, given the limited space available. The days of taking out boxes of holiday decorations from the garage, then storing them away, have long since passed. But in an rv, decorating just a little goes a long way. For example, we run one strand of Christmas lights along our living room wall, and enjoy it for many months. So all of you rvers (and even those who don't rv) will take pleasure in some of these cute, affordable Valentines decoration ideas. They are perfect any day of the year! There aren't many rooms to decorate in an rv, and romantic couples pillowcases can make a bedroom in a recreational vehicle feel warm and cozy. Add some candles, an old-fashioned heart throw and some floral garland border around the ceiling and you have a sweet hideaway, at very little cost. To save more money, you can even make your own curtains like we do, using material, sheets and tablecloths from thrift stores. Unlike a large home, rvs take very little to decorate to your tastes. In addition, even if you don't care for the hearts all year long, these small items can be easily stored away and used seasonally for three or four months at a time. I like to change things around and with stationary rv furniture, I can't move the sofa around the room like I used to. But for little cost, I can change a room's look whenever I want. Valentines lights, adorable red string light strands, look amazing in a camper. It only takes a strand to add ambiance to a room...and you will absolutely love the feeling when the sun sets and they become the only lighting in the rv. At Christmas, we run a string of lights and keep them going because they look so beautiful. In addition, never forget candles! There are even flameless red tea light candles, for the ultimate safety in your motorhome or travel trailer. Decorating A RV? DECORATE THE RVERS, TOO! What could be cuter than romantic rvers on Valentine's Day, decked out in a Valentine RV tshirt? Fortunately, there is a "v" in RV, so you can have a lot of fun personalizing or customizing your own t shirts - or grab one of those featured below! 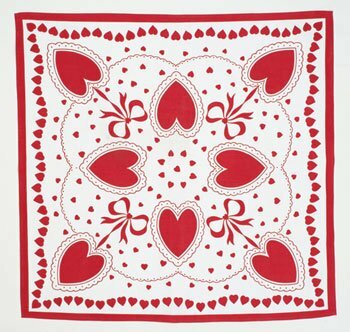 Decorating an rv for Valentines Day is easy, if you buy heart symbol items that don't say Valentine on them! 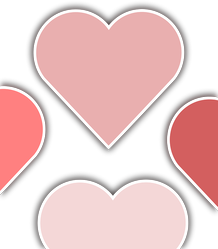 But even if you don't want hearts to be your main theme, you can still just add touches that take up little space and can be stored easily. 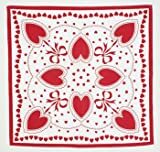 A string of heart lights, a heart shaped throw and pillow cases, plus a vintage tablecloth full of hearts take up no room at all, yet can transform your recreational vehicle in minutes, with every room having that lovey-dovey feel. This is true for basically any holiday, when you live in an rv full time like we do. A few little accents, table cover and a throw, plus candles and lighting, are perfect for St. Patrick's Day, Easter, 4th of July, Halloween and Christmas. The key is decorating your rv where it counts the most! 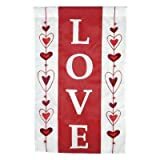 Do You Decorate With Heart Themes, Even When It Isn't Valentine's Day? If you aren't thrilled about the Valentines Day holiday, you can find fun anti Valentine quotes on t-shirts to proudly display on February 14th.